​The Reverend Christoph Heinrich Bonwetsch, the son of hat maker Johann Christoph Heinrich Bonwetsch and Maria Agnes Gänslen, was born in Metzingen, Württemberg on July 6, 1804. He was married on January 8, 1831 in Katharinenfeld, Georgia to Beate Christiana Friedrich, daughter of Pastor Johann Jakob Friederich and Eberhardine Dorothea Canz. She was born October 19, 1802 in Winzerhausen, Württemberg, and died in Norka on February 10, 1888. 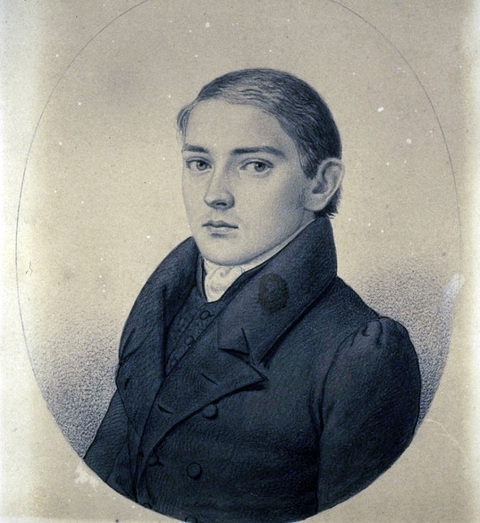 Portrait drawing of Christian Heinrich Bonwetsch in 1828. Used with permission of the Basel Mission Archives, Reference: BMA QS-30.001.0061.01. Pastor Bonwetsch trained first as a cobbler. On December 5, 1824, he began theological training at the Mission Institute in Basel, Switzerland (membership number 75), and was ordained on September 10, 1828 in Auggen, Baselland. He served as pastor in Katharinenfeld, Georgia, from 1828 to 1840. He served from 1840 to 1845 in Tiflis (Tbliisi). From 1845 to 1876, he was pastor of the Norka parish, also serving from 1857 to 1870 as the Dean of the congregations (Probst) on the Bergseite. Registration of Reverend Christoph Heinrich Bonwetsch from the Basler Missionhaus. Christoph Heinrich's sister, Wilhelmine Christiane Bonwetsch, was born on September 9, 1809 in Metzingen and married Pastor Jakob Friedrich Dettling on May 28, 1844. 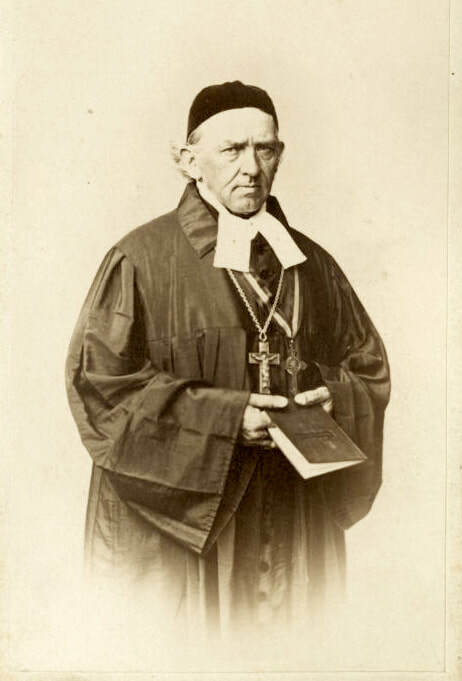 Pastor Dettling was born on July 3, 1813 in Mönsheim, in the Kingdom of Württemberg. Wilhelmine Christiane Dettling died sometime before November 1855. Pastor Dettling married his second wife (his niece, daughter of Christoph Heinrich and Beate Christiana Bonwetsch) Pauline Katharina Bonwetsch in Norka in the province of Saratov on November 22, 1855. Pauline had been born in Katharinenfeld in the governorate of Tbilisi on August 22, 1835. Pastor Detting served the church in the colony of Messer from 1855 until his death on January 31, 1891. Christoph Heinrich and Beate Christiana Bonwetsch were also the parents of Gottlieb Nathanael Bonwetsch who would also serve the congregation in Norka and Samuel Theophil Bonwetsch who served as pastor in Galka, Fresental and Kursk. Samuel Theophil Bonwetsch married Marie Eugenie Hegele, daughter of Pastor Christian Gottlieb Hegele who previously served as the pastor in Norka. Portrait of Christoph Heinrich Bonwetsch. Source: Estonia Museum Portal. Biography of Christoph Heinrich Bonwetsch. Source: Estonia Museum Portal. Rev. Wilhelm Stärkel married Beate Bonwetsch, another daughter of Christoph Heinrich and Beate Christiana Bonwetsch, on July 4, 1868 in Norka. Rev. Stärkel mentions in a letter written in the summer of 1869 that his father-in-law was very ill with peritonitis, which nearly killed him. Reverend Christoph Heinrich Bonwetsch died in Norka on February 17, 1876 as the result of a stroke. His son Gottlieb Nathanael, who was assisting his father at the time of his death, served the Norka congregation until sometime in 1877 when Rev. Wilhelm Stärkel succeeded him. Amburger, Erik. Die Pastoren Der Evangelischen Kirchen Russlands Vom Ende Des 16. Jahrhunderts Bis 1937: Ein Biographisches Lexikon. Lüneburg: Inst. Nordostdt. Kulturwerk, 1998. 268-269. Print. 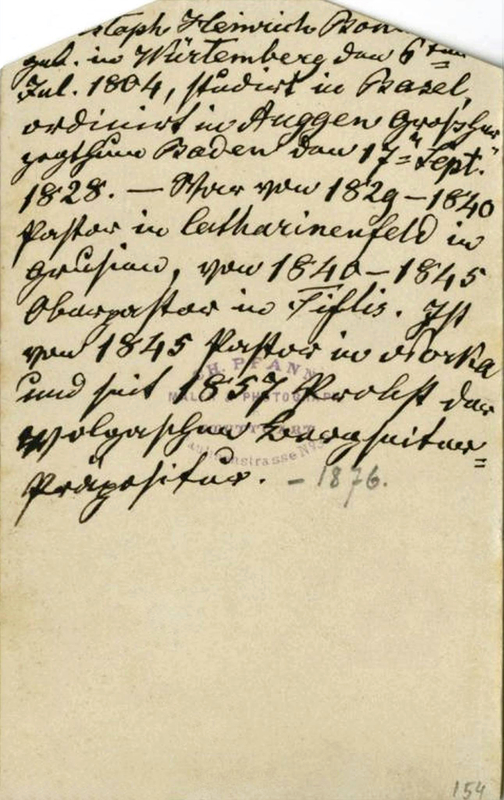 "Bonwetsch, Christoph Heinrich - Basel Mission Archives." Omeka RSS. Web. 10 Mar. 2016. <http://www.bmarchives.org/items/show/100206853>. "Bonwetsch, Christoph Heinrich." International Mission Photography Archive. University of Southern California Digital Library. Web. 10 Mar. 2016. <http://digitallibrary.usc.edu/cdm/singleitem/collection/p15799coll123/id/38654/rec/1>. Dietz, Jacob E. History of the Volga German Colonists. Lincoln, Neb. : American Historical Society of Germans from Russia, Printed by Augstums Printing Service, 2005. 293. Print. Seib, Eduard. "Der Wolgadeutsche im Spiegel seines Brauchtums. "Heimatbuch Der Deutschen Aus Russland 1967/1968 (1968). Print. Vaschkau, Nina. "German Press on the Problems of Public Education in the Volga Area: End of the Nineteenth Century and Beginning of the Twentieth Century." Trans. Yulia Tsymbal. American Historical Society of Germans from Russia Journal 36.2 (2013): 20-27. Print.